Alcohol is currently the world’s third-leading cause of global problems such as diseases and injuries. Not to mention the social and psychological impact this kind of problem can cause in the life of an alcoholic. 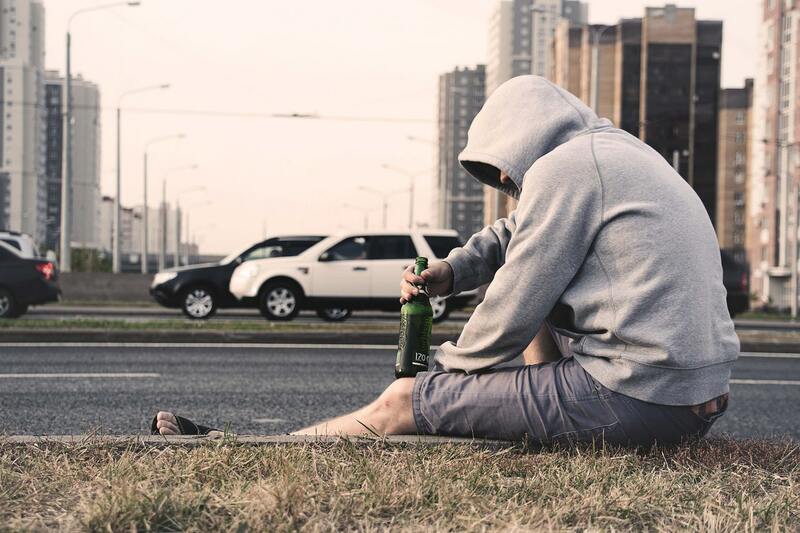 Because of this massive global burden, alcohol rehabilitation exists. In Canada, alcohol is considered a socially-accepted type of drink and has become an important part of many Canadians’ daily routine. Surprisingly, about 80% of Canadians drink and most would usually associate drinking with pleasurable events like music festivals, parties, watching sports or simply relaxing. Canadians also drink to celebrate important occasions and events like weddings, anniversaries, birthdays, promotion, awards, etc. All of these are often celebrated with a “toast” of alcohol. While many people in Canada treat alcohol like food, everyone should have familiarity with this kind of drink especially on its true nature and potential effects especially when consumed excessively over time. Alcohol is known as a mind-altering drug or substance and there are many different kinds of health issues that are associated with drinking alcohol. There are low-risk drinking guidelines observed by many people today but these do not necessarily mean that drinking alcohol is harmless. Today, more than 3 million Canadians are at risk of acute illnesses and injuries caused by drinking alcohol. On the other hand, about 4.5 million people in the country are at risk of chronic health problems like cancer and liver disease. Children grow up and exposed to alcohol consumption and about 3,000 babies are born each year with a disorder known as a fetal alcohol spectrum disorder. In the country, alcohol is known to be one of the most common causes of diseases among Canadians. It is the top risk factor for the people of Canada that belong to the 15-49 years age bracket. In the year 2002, alcohol was pointed out as the cause of 4,258 deaths in the country. These deaths were commonly due to alcoholic liver diseases, vehicular accidents and suicides. Lying About Drinking. This is a point when an alcoholic denies. Commonly, a person drinks secretly and lies about how much he consumes. This can be tough and difficult to spot. Neglecting Responsibilities. An alcoholic usually finds it hard to follow and grow through his normal responsibilities. This is commonly due to the shifting of his priorities, setting alcohol drinking as his primary focus. Drinking Alcohol o De-Stress. When a person reaches for a bottle of alcohol and drinks it during a stressful situation, this is an indication that this person has a problem. The use of alcohol to cope can cause serious risks. Regular and Frequent Backing Out. This is a period wherein an alcoholic experiences episodes of total or partial memory loss. This is the result of excessive consumption of alcohol. Alcohol Dependency. A person who is alcohol-dependent needs to consume more and more alcohol to get drunk. He usually suffers from withdrawal symptoms and consistently fails to cut down or stop his drinking. When a person manifests these red flags, there is a need for him to be rehabilitated. Substance abuse is one of the most pressing issues in today’s world that affects people in different age groups, economic status, and gender. It refers to the hazardous and improper use of both prescription and illegal drugs as they are being used for non-medical purposes. The abuse of these drugs and substances has to encompass effects on a person from physiological to the way that person acts, feels, and thinks through attacking the nervous system functions. Drug abuse leads to addiction and physical dependence and it has various signs and symptoms as well as different ways of prevention. The Canadian Center for Substance Abuse focuses their attention on key issues that touch problematic substance and drug abuse, highlighting the practices and policies for solutions. One of the highlights in their series of researches and studies is the detailed account of the effects of these illegal drugs to the person due to addiction and dependence. How does addiction manifest in a person? A person that regularly uses alcohol or drugs regardless of its impacts and consequences is potentially grappling with addiction. The truth is that these addicted individuals are not even aware of their behavior and how it is becoming out of control and affecting them and other people. 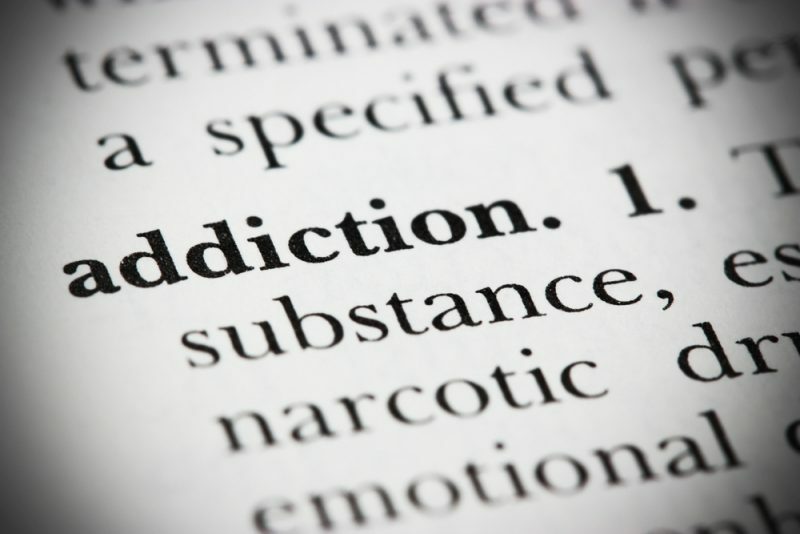 Addiction to a substance may also involve psychological dependence and not necessarily on the physical aspect. What is psychological dependence on substances? An addicted person is psychologically dependent, a condition also referred to as the dependence of the mind. The individual finds it extremely difficult to stop using a substance or to even stop thinking about the substance they are addicted to. There is a sense of strong craving for that particular substance which could be internally or externally triggered. Education and proper information are vital in order to help people, including your loved ones, to prevent substance addiction and all its devastating effects. Families, communities, schools, and the media have crucial roles to play in the prevention of substance abuse among Canadian youths through education. Early intervention programs effectively work as well. Substance abuse is a worldwide problematic issue that needs immediate attention and solution as early as possible. There are various treatments and preventative measures that could stop the abuse of substance and its destructive effects on a person, including the possibility of overdose and death. When one is addicted to gambling then he is more likely to be suffering from a condition called gambling addiction or problem gambling. It is a kind of behavior which causes different kinds of disruptions in various areas of life: social, psychological, physical or vocational. Compulsive or pathological gambling is a level of addiction which is characterized by expanding preoccupation with different sorts of gambling acts. It also denotes the frequent need to place more money as bet, irritability or restlessness when trying to stop chasing losses and control loss which is usually shown by continual gambling behavior despite the mounting, negative and serious consequences. In the country, gambling operations are exclusively under the control of territorial and provincial governments. Gaming is considered the country’s largest entertainment industry. In terms of size, gaming is similar to combined recorded music, professional sports and TV. This industry supports more than 135,000 fulltime jobs and over 267,000 overall total jobs. Gaming is also known as 15-billion-dollar industry in the country. 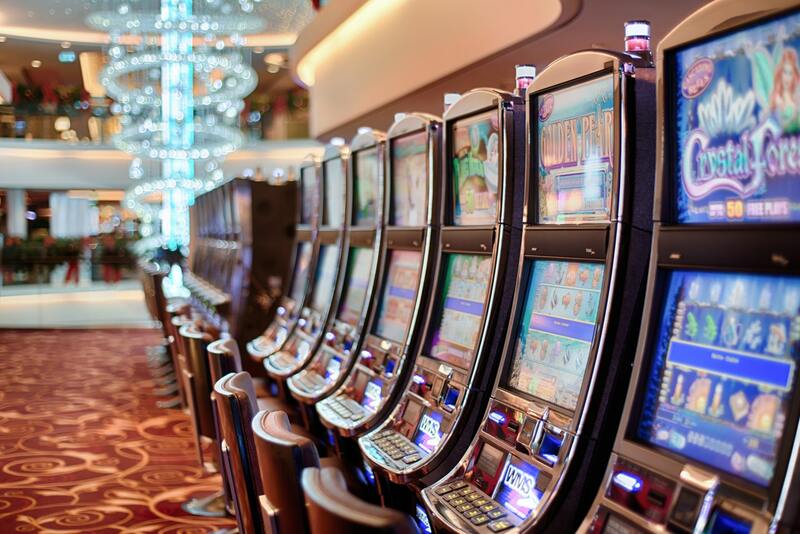 The growth and expansion of gaming are caused by the continuous increase in slot machines and in 2006 to 2007 alone, about 70.7% of Canadians gambled. From this figure, 2.1% gambled online. The most popular gaming activities which are commonly played by adult gamblers include instant win tickets and lotteries. While online gambling has significantly increased during the past few years, it still proves to be the least common form of gambling problem in the country today. About 3.2% of Canadian adults are known to be affected by moderate to excessive problem gambling. This is like 3,200 out of 1000 Canadians are into this kind of behavioural problem. On the other hand, 2.2% of youth aged 15 to 24 years old are affected by moderate risk – that’s 2,200 for every 1,000 of Canadian youths that belong to this age bracket. Manitoba and Saskatchewan have the highest rates of moderate risk of problem gambling while New Brunswick and Quebec have the lowest rates in terms of gambling addiction or problem gambling. In Canada, there are groups that conduct meetings to support spouses, close friends and families of compulsive gamblers. There are also groups which are composed of men and women fellowships that help each other in the recovery of their gambling addiction. When looking forward to joining a fellowship, the only requirement that you need to have is the desire to discontinue gambling. In most cases, there are no fees or dues involved in these groups. Today, Canada has certain authorities that educate people about effective ways on how to stop gambling and how to prevent yourself from becoming a gambling addict. The Canadian Health Network, for example, comes with a section on youth gambling while certain authorities are intended for adult gambling addicts. With these solutions that are abundantly found in the country, gambling addiction among Canadians can be controlled easily and effectively the soonest possible time. Cocaine refers to an addictive stimulant drug with powerful effects on people, depending on the dosage you take. It was produced from the leaves of the South American native coca plant. The drug is a valid medical remedy that is mainly used as local surgical anesthesia, however, it is also considered an illegal drug. It basically looks like crystal powder with white and fine texture. Cocaine is considered a street drug and could be mixed with other contents such as talcum powder, cornstarch, and flour, in order to boost profits. It could even be blended with a stimulant amphetamine drug. Since it’s highly addictive, Cocaine addiction treatment tops the chart for rehabilitation services in the country. The drug has different names with the likes of coke, blow, crack, snow, and rock on the list. Just as its numerous nicknames, there are also different ways how people use this drug. For instance, users popularly snort the cocaine powder through their nose and rub the powder into their gums. There are also others that combine the drug with heroine, a blend that is called Speedball, which is administered by injection. Smoking cocaine is another way of using this drug which has already been processed into what is called freebase cocaine or rock crystal. The heated crystal produces vapor that is inhaled into the lungs. The type of cocaine that is smoked is also called Crack which is derived from the crackling sound that the rock makes when it is heated. In most cases, cocaine users take the drug in binges, particularly in small but repeated usage with increased dosage in order to sustain their high. Some of the temporary effects of this drug include mental alertness, irritability, extreme energy or mood elevation, and hypersensitivity to touch, sound, and sight. Others may also experience paranoia or that unreasonable and heightened sense of distrust towards others. When taken in large dosage, the drug could lead to violent, unpredictable, and strange behaviors. Excessive and prolonged usage of cocaine also has drastic and long-lasting effects on the body such as the loss of your sense of smell and nosebleeds due to snorting the drug. You may also have chronic problems with runny nose and swallowing. Users that inject cocaine have higher risks of hepatitis C, HIV, and other diseases that are considered blood borne. When you consume the drug by mouth, you also become vulnerable to bowel decay due to reduced blood flow. A person can definitely overdose on cocaine and this happens with the intake of extremely high dosage of the drug. It results in toxic reaction and serious hazardous effects and even death. Cocaine overdose may be intentional or otherwise and mixing high dosage with drinking is even more lethal and riskier. Cocaine is primarily an illegal drug even if it has its valid medical purpose in the field of local anesthesiology. Addiction to cocaine is a debilitating problem when left unaddressed however treatments are likewise available to withdraw from this addiction and eventually stop. Weed, cannabis, marijuana are just a few of the names you know about this polarizing topic in the world of drugs and medicine. The debates about the helpful and destructive effects of cannabis are getting hotter even more. It helps to know some of the myths and truths that have engulfed the topic that is weed. There have been some arguments that say using weed could actually contribute to weight loss primarily because it helps in suppressing hunger, making it a good defense against binge eating or snacking. Research made about marijuana showed that weed has the properties to hijack the hypothalamus, a part of the brain that is responsible for sleep, libido, and hunger. The study showed that cannabinoids affected the neurons that suppress or regulate hunger, making it work doubly hard. The neurons actually did not shut down hunger but rather promote it. There are two major species of cannabis known as sativa and indica. However, most scientists are claiming that there are still other species out there, waiting to be discovered. People also thought that these different species have the same effect and give you the same high. The cannabis species Sativa is known to have a psychoactive cerebral effect to the user while Indica creates a sedating and relaxing feeling. The Sativa species has narrow leaves and it is significantly taller than its indica counterpart which also has wider leaves. Moreover, scientists agree that there are different reactions to each plant and it is quite difficult to predict those reactions in different individuals. More studies are ongoing in the pursuit of discovering the other differences between these two species. Synthetic marijuana is also known as fake weed, K2, or spice, and most people claim that it is a much safer option than natural ones. Saying that synthetic marijuana is safer is just wrong in so many ways. In fact, fake weed is up to a hundred times stronger compared to its natural counterpart, and that is downright risky. There are no spices that are manufactured with a safe dosage in mind. The identified insane side effects of synthetic marijuana include hallucination, vomiting, stroke, and acute psychosis, even death. Weed has been legalized due to a number of legitimate reasons. However it could also be life-ruining when abused. When necessary, Marijuana Addiction Treatment is very helpful. Know the myths and truths about cannabis and see how you can use them to your advantage. What are the Potential Effects of Crack/Cocaine Addiction to the Body? Cocaine is one of the most prohibited drugs not only in Canada but in all parts of the world as well. While South America and the United States outrun all other countries, Canada has also gotten its share in the use and sale of this prohibited drug. Cocaine may not be a new thing to you as this drug is commonly branded as one of the most prohibited drugs and illegally distributed and used in many different parts of the globe. But there might be some things that you are not practically aware of about this drug. Cocaine has the following street names: blow, snow, rock, flake, freebase, coke, crack or simply C.
Cocaine is a short-acting stimulant which is known for its powerful and highly addictive effects. It is synthetically derived from coca leaves, gathered from a plant that is natively found in countries like Bolivia, Colombia and Peru. People who are addicted to cocaine usually snort, inject or smoke the crack. When a person becomes addicted to cocaine, he loses his control on the use of this drug. He would feel a strong and overwhelming urge to use it, even when he knows that such addiction can cause him to suffer from social, personal, psychological and health problems. What cocaine-addicted people know is that they need to have more of it simply because it is the most important thing in their lives. Using this drug can often cause extreme highs and lows thus, making the users crave for more and use many times in just one session. Once a person stops from using cocaine they would usually suffer from a condition called ‘crash.’ This is a condition wherein their moods tend to swing, usually from high to feeling distressed. This usually brings them to a more powerful and stronger craving for more cocaine. The medical consequences which are commonly attributed to cocaine use usually include heart issues, respiratory problems, and problems of the digestive and nervous systems. A person who is addicted to cocaine may also suffer from paranoia, a condition wherein they lose touch and connection to reality. People with serious crack addiction will do anything to keep using cocaine especially smoking C. It is the intense, short-lived and rapid effects that make crack most addictive. People in Canada who are addicted to cocaine usually end up in prison and other drug rehab institutions. So, how can you determine when a person is suffering from cocaine withdrawal? These include the following: extended and restless sleep, exhaustion, sleeplessness, depression, irritability, hunger, intense cravings for more of the drug, and suicidal thoughts. Cocaine euphoria among addicts is usually very strong, bringing a strong risk of relapse to cocaine use. As of the present days, cocaine is known as one of the illegal drugs on the market that have the highest tendency in terms of relapse. And with a prolonged use of this drug adverse psychological and physical effects may soon take place anytime. Posted on December 4, 2018 | by Addiction healing centre | Leave a Comment on What are the Potential Effects of Crack/Cocaine Addiction to the Body?